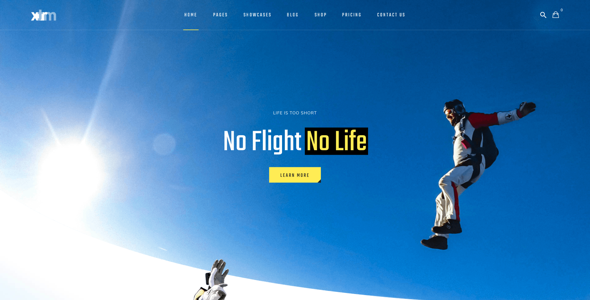 XTRM is a very powerful extreme sports and adventure tours theme equipped with everything you need to create an amazing website and do it fast! All the latest features are using here which help you to make a unique website from others. 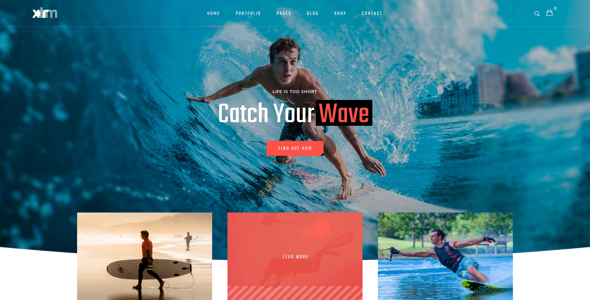 It’s a powerful, super flexible responsive, professional, and multipurpose tool. It comes with numerous customisable and reusable components that are designed to fit as many purposes as possible and present your adventure sports, adventure tours, and extreme sports events in a fantastic way. They are also easy to customize and to combine with other components. 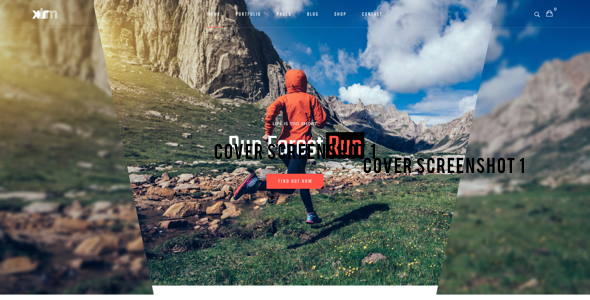 The Theme allows creating as many new page layouts as you wish. 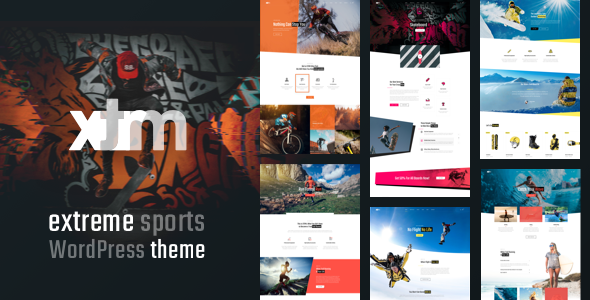 XTRM comes with 14 Home pages, Beautiful Showcases, Pricing, 5 Blog type, Event and Shop pages to choose from. There are Contact page, About Us layouts, Unique Headers, and Footers to display your work, and with our one-click demo importer! We made the theme compatible with such plugins as The Grid, WPBakery (Visual Composer), Contact form 7, Google Maps, Booked, WooCommerce and more! 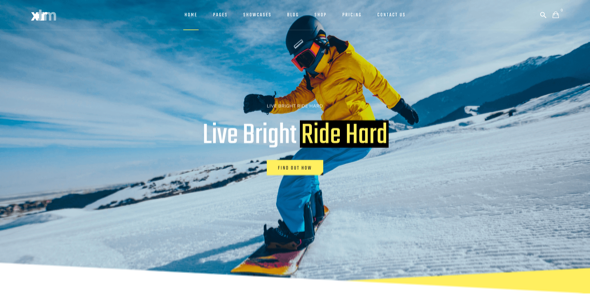 The Grid is a premium WordPress grid plugin which allows you to show off any custom post types in a fully customizable and responsive grid system. It is perfectly suited for displaying your blog, portfolio, e-commerce or any kind of Wordpress post type. This plugin supports the following post format: standard, video, audio, gallery, link, quote. Google Map Visual Composer Addon is most easy and powerful free google maps addon for Visual Composer. With this addon, you can create a different type of maps having the option to change Language, Map Controls Zoom Controls and a lot of more functionals, also you can set up the Style. This is a google map visual composer add on to generate fully customized responsive google maps in your local language. 114 different styles(skin) available and counting. 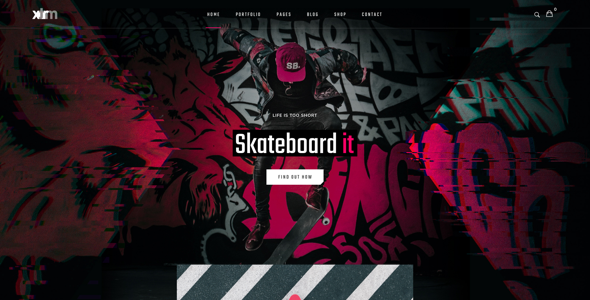 XTRM is 100% WooCommerce compatible and includes full design integration that looks amazing. With XTRM theme you can easily create a highly professional and fully functional online shop. XTRM theme is fully responsive. 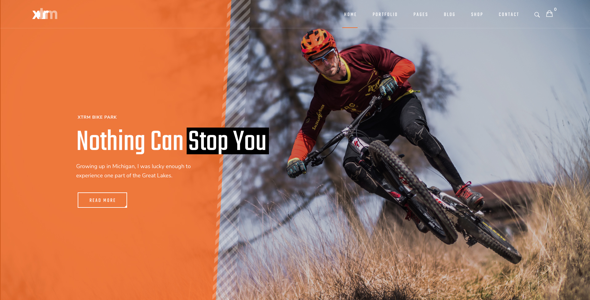 No matter what device your visitors are using to access your site, the layout will fluidly respond to the screen size to ensure they can still read, browse, shop, download, and interact with your website in every other way. All images in XTRM can be used only on demo version. You will need to upload your own images for your site.